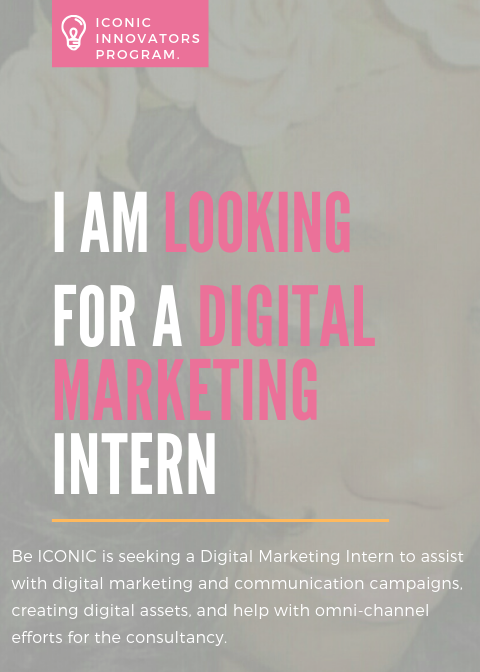 The Iconic Group LLC is looking for an Intern to assist with the organizations Branding and Media Arts communication outreach efforts. The Iconic Group LLC is a cutting-edge niche branding agency that works to create powerhouse brands for clientele. Through branding, marketing, publicity, and advertising the intern will learn, cultivate and demonstrate their understanding through seamless marketing and brand creation. · Ideate, Curate And Publicize Brands Through A Detailed And Customized Brand Blueprint Which Includes Brand Strategy, Brand Initiation, Brand Distinction, Brand Promise & Brand Care. · Cultivating And Analyzing All Media Channels To Encourage An Omni-Channel Approach In Marketing Efforts. · Partner With Various Departments To Innovate Digital Assets That Support Marketing And Content Strategy For B2b. And B2c Which Includes Website, Mobile, Landing Pages, App, Blog, Partnered Content And Brand, And Marketing Campaigns. · Willing to Learn How To Manage Influencer Marketing Programs Between Bloggers And Brands.